With warm weather comes baseball and softball spring workouts. 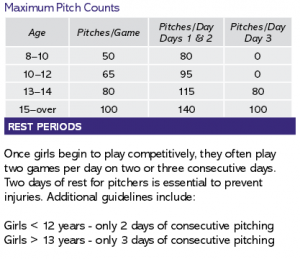 We see a lot of players getting ready for both high school and club teams in our practice and there are a few pitfalls I would like to help players avoid. 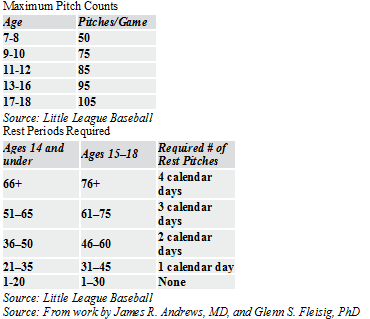 Proper rest for athletes is essential not only with pitch counts, but also with rest throughout the year. Taking a portion of the year off to relax the arm is imperative to the health the child. Refraining from overhead activity for consecutive months throughout the year is recommended as well as playing additional sports. When it comes down to it, it is logical--resting their arms helps them last longer. It seems simple but in practice it proves to be difficult for many.